Overview of the project Papusha Rocket Technology. This technology is the latest technology aimed at the destruction of refined waste oil throughout the world. Instead of "killing" flora and fauna, refineries receive gasoline and diesel, which go on sale. 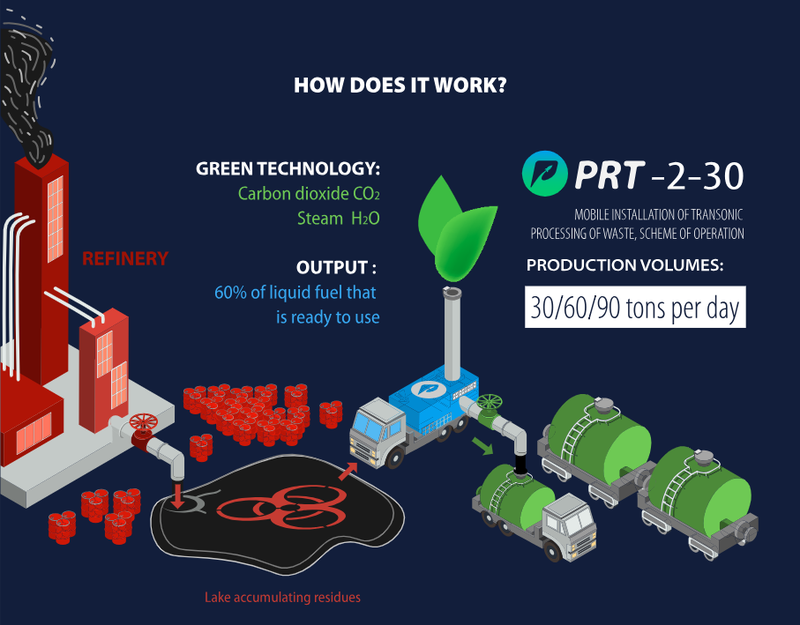 Papusha Rocket Technology ICO establishes the production of small-scale installations for processing heavy oil residues, with the production of liquid fuels using transonic combustion technology. The new refinery waste produced every day around the world is 1.35 million tons. 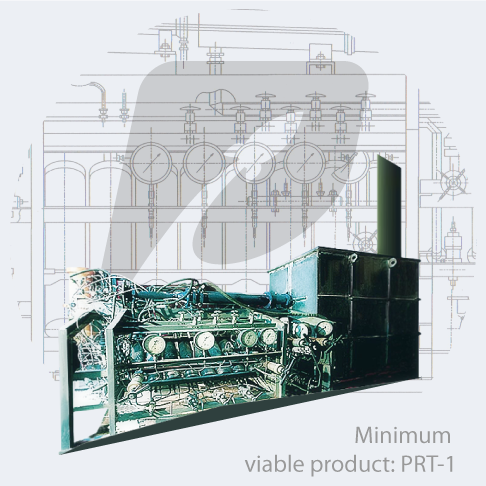 One PRT-2 installation, depending on its capacity, processes 30-90 tons of waste per day. The volume of the PRT-2 installation needed by the market amounts to tens of thousands of pieces. 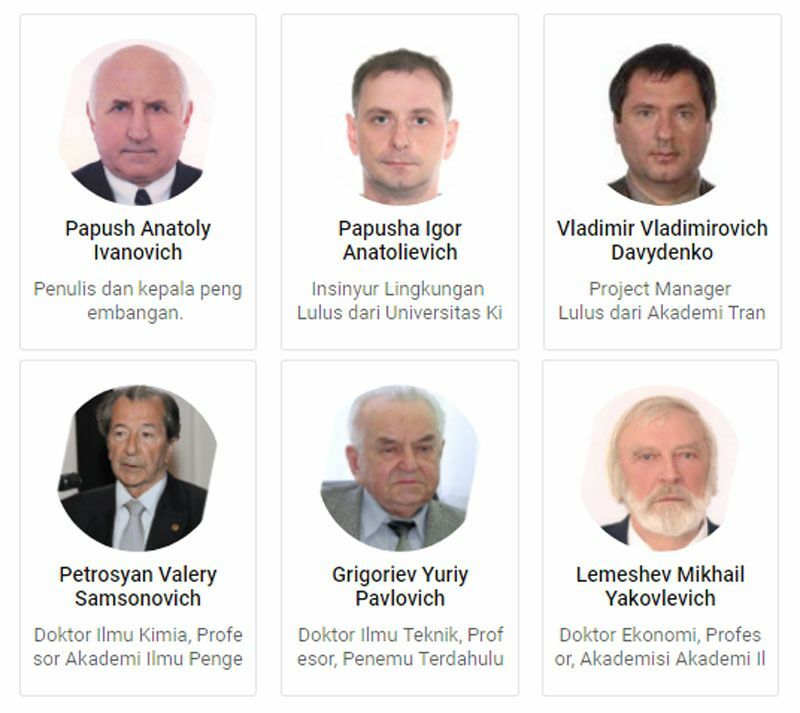 This technology is included in the UN list under the name of the author "Papusha Rocket Technology" (PRT). This is recycling only new waste, which does not clog our planet. For processing deposits and accumulated lakes, volumes that are several times greater than this value are required. The technology of transonic combustion, which was developed by Papusha AI. in order to eliminate super toxic waste has found its application in the field of oil refining. Only thanks to the fact that there were little improvements, the innovative installation began to do previously impossible, namely, from waste, which practically was not used to produce such sought after products as kerosene, gasoline, diesel fuel and quite valuable synthetic oil. The main task of the project is the processing of hazardous wastes from oil refineries due to the demand from large investors. Nevertheless, the possibilities of the technological processes of transonic combustion and PRT-2 installations formed on its base are much wider and will require minor improvements in the adjusted production. On the whole planet, there is a colossal number of poisonous wastes, which cause damage to the environment. And in connection with the lack of processing technology are simply stored. At Papusha Rocket Technology there is such possibility to process the given waste - therefore for this purpose, it was originally created. The large surface of the Earth can be preserved from the bad influence of toxic waste. During the processing of oil, a huge amount of waste is formed, which can not be used in the future and they are considered dangerous for the ecology of the whole Earth. Oil refineries pour waste into specialized tanks or so-called "storage ponds", creating great harm to the outside world and depriving themselves of possible profits from their processing. The small-size processing plant PRT-2 uses the contents of similar ponds as a raw material. The processing of oil waste occurs at a high temperature (more than one thousand oC) at transonic speeds (~ 1,000 m / sec) with the addition of specialized impurities. In such cases, the processed elements undergo radical physicochemical changes, most of which are converted to synthetic gas. Then the substance enters the cooling block, where the positive product (kerosene, fuel (gasoline), oil, etc.) is synthesized, despite the fact that safe water vapor and carbon dioxide are released into the atmosphere. The fact that they received an ecologically clean method, important raw materials are accumulated in specialized tanks, ready for further transportation and sale. The PRT-2 units will be commercially sold and given that the units can be configured according to buyer specifications, the prices can vary from 950,000 USD to 2.5 million USD. Yet, the cost price is only about 450,000 to 700,000 USD. This yields a greater profit margin for investors. Given that there is an enormous amount of residue to process, it is predicted that 70,000 PRT-2 units will be needed yearly. As such, buyers of the PRT tokens will substantially reap higher investment returns. Papusha has decided to bring the transonic combustion process to the blockchain network, particularly using the Ethereum ecosystem. By tokenizing the sale, safer transactions will take place and a global audience can participate in the ICO in the most seamless and efficient way possible. In the long run, the higher the sales, the more returns will be distributed among the investors. For more information about how the entire Papusha team manages the liquidity of the funds and the other possible rewards, you can join the whitelist.